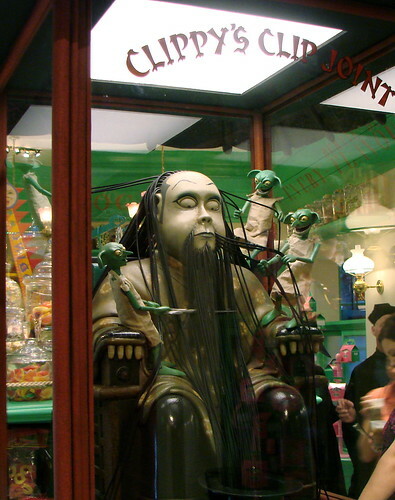 One of the more gross offerings at HoneyDukes candy shop in the Wizarding World of Harry Potter is Clippy’s Clip Joint Clippings. 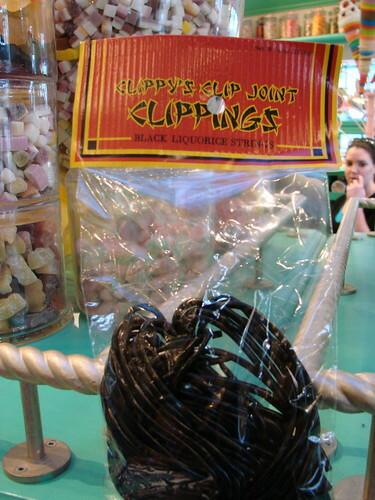 These things constitute nothing more than strips of licorice (which I love) in a plastic bag and at $2.95, they’re one of the least expensive options in the Wizarding World. However, they’re located right behind “Clippy” himself! These little licorice strips are supposed to be his greasy, grimy hair packaged up for you to consume. Gives me the willies! To top it off, Clippy moves every now and then — just adding realism to the prospect of eating his hair. No thank you! What do you think? Could you choke down some of Clippy’s hair? Let us know in the comments.